LG has finally revealed the Android 4.1 Jelly Bean update schedule for some of its high-end devices and phablets. According to an official press release, the Korean manufacturer will be rolling out the Jelly Bean update for its smartphones like Optimus G, Optimus LTE 2, and phablets like LG Optimus Vu and Optimus Vu 2 starting from the next month. The JB update calendar informs that LG Optimus LTE 2 will receive Android 4.1 Jelly Bean in November. The update will bring several user interface improvements and LG bloatware. LG Optimus G will see the upgrade in December. 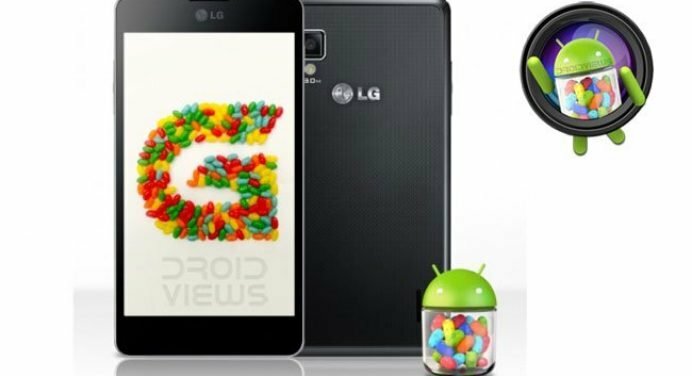 The two of the company’s phablet devices, namely LG Optimus Vu and Optimus Vu 2 will have to wait for the Android 4.1 update till the first quarter of 2013. Quite interestingly, LG has not said any word as to when it will will release the Jelly Bean update for it other smartphones like Optimus 4X HD or L-Style series. When it comes to the firmware update to its dvices, LG has not a very good record compared to other Android manufacturer. It has been too slow, and sometimes even shirks, in providing the latest software update to it flagships.